Today was a walking tour of Jerusalem, and beginning at Herod’s Gate included the sites of the Old City such as the Via Dolorosa, the Cardo, as well as the Temple Model, and finally Calvary. Gordon’s Calvary and the Garden Tomb are located a short distance north of the present Damascus Gate, just east of Nablus Road. In 1885 General Charles Gordon, following the proposal made by Otto Thenius of Dresden in 1842, argued that a rocky hill there, 250 yards northeast of the Damascus Gate, was Calvary. 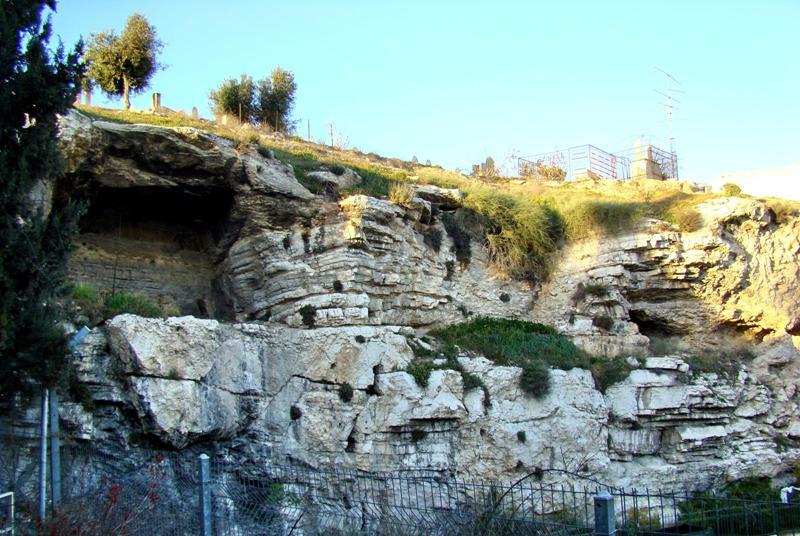 The identification was based on several arguments: It was presumed to be a Jewish place of stoning, it lay outside the city wall, and what looked like the face of a skull could be seen in the rocky hillside. As to location, Gordon’s Calvary fits the biblical requirements of being outside the gate. Although the side of the hill looks like the face of a skull, this may be due to man-made cuttings in the hill. The biblical reference to Calvary as the place of a skull (Matthew 24:33, etc. ), may mean that it was shaped like a skull, or simply that skulls of crucified criminals could be found there. Gordon's Calvary. Photo by Leon Mauldin. The nearby rock-hewn Garden Tomb, though aesthetically satisfying, is not of the first century A.D. It contains a Byzantine (fourth to sixth centuries A.D.) trough-type burial place, and two Byzantine crosses were found painted on one wall (Vol.3, no. 2). 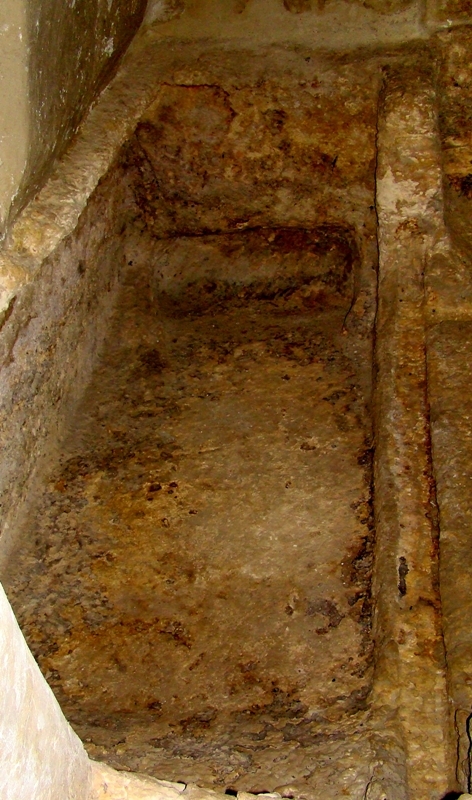 Garden Tomb at Calvary. Photo by Leon Mauldin. Mare went on to say, “The Church of the Holy Sepulcher, besides being outside the walls of Jerusalem in Jesus’ time, has other supportive evidence” (ibid). We will plan to write more re: this on a future post. 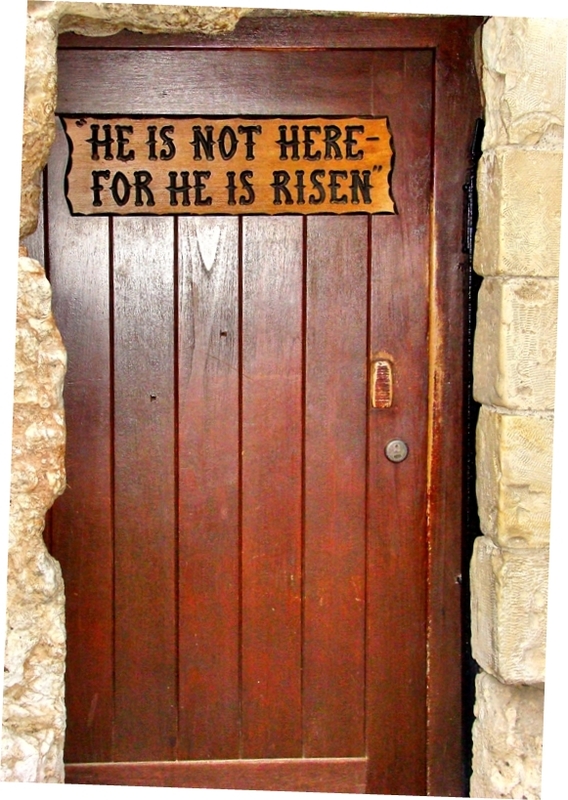 Door at Garden Tomb. Photo by Leon Mauldin. Thanks again for following our travels. Tomorrow we are to leave Jerusalem and visit sites southward to the Dead Sea. This entry was posted on Tuesday, March 15th, 2011 at 2:14 PM and is filed under Bible History and Geography, Bible Study, Israel, Travel. You can follow any responses to this entry through the RSS 2.0 feed. You can leave a response, or trackback from your own site. I appreciate your blog so much. Praying for your safety.